On this lazy Sunday afternoon I had a chance to catch up on some of the magazines and IT research reports. One of those magazines was Time, in which Apple co-founder and CEO Steve Jobs was named one a member of this year's Time 100. 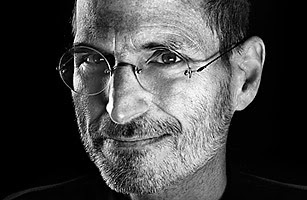 Mr. Jobs was listed in the "Thinkers" category; which is fitting because his computer has always dared to "Think Different." You can read Jeff Koons' write up of Mr. Jobs on the Time website.